Learn how to include a message when you invite Reviewers or Collaborators to a page. 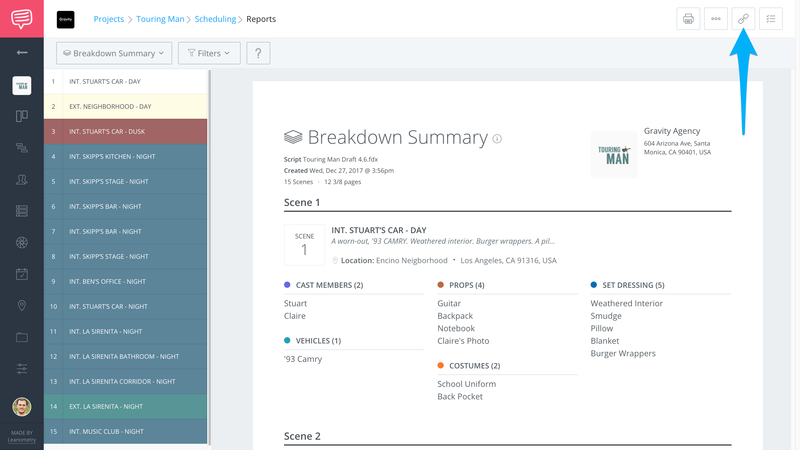 StudioBinder's Sharing feature allows users to have complete control of their invites, it even allows users to include a custom message when inviting Reviewers and Collaborators to view, comment, or edit. Go to the page you would like to share, then click the Share Icon ( 🔗 ). 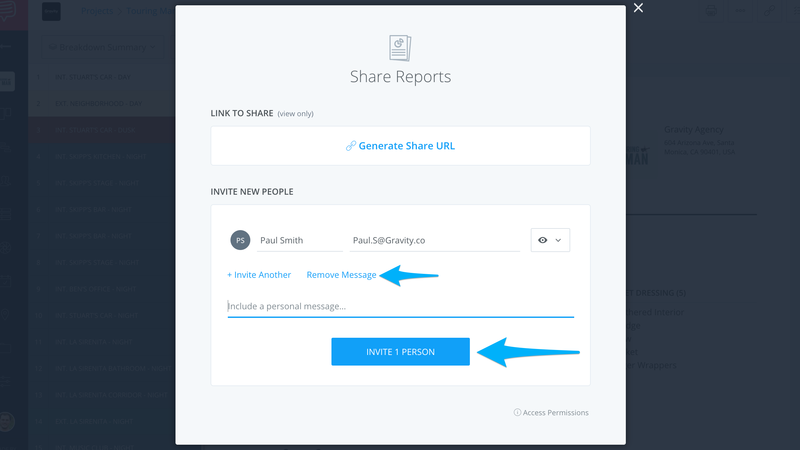 In the Sharing Popup, click Invite a Person, enter their contact details, select permission access, then click Include Message. When the message is complete, click Invite Person. 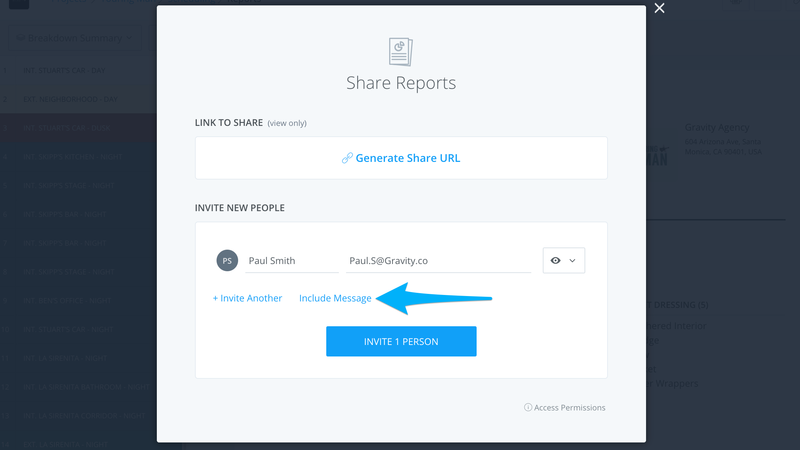 Or simply click Remove Message to send the invitee without a message.